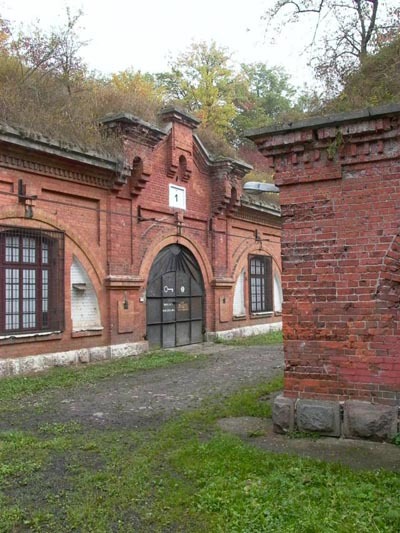 Fort III built in 1883 to 1888 was part of a ring of forts making up the the Modlin fortress. It was bravely defended by Polish forces during the battle of Modlin in 1939. Between 1940 and 1944, a concentration camp and Gestapo prison was established within the fortress walls. The overall number of victims of Fort III during the years 1940-1944 is estimated at between 30.000 and 50.0000 people. It is currently owned by the Agencja Mienia Wojskowego. Guided tours are only possible by appointment..